Good review — interested to read the book now myself. Just found the site through your review of Veera Hiranandani’s book and think it’s great. Sorry, don’t know if my original comment went through — feel free to delete this if it is in fact redundant. Just saying that I found the site through your review of Veera Hiranandani’s new book, which I just read. 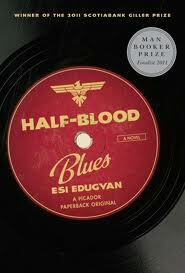 And I’m eager to read Half Blood Blues now — hadn’t heard of it until I saw it here.